On Sunday 3rd February St Peters Chess Club entered four teams (21 players in total) in the Lothian Junior Chess League Day 2. Teams from all over the region met at Broughton High School to play six rounds. Twenty teams played in the P5 and Under competition and eighteen teams played in the P6/P7 competition. The St Peters teams acquitted themselves superbly and were a credit to the school. Thank you to our team captains Orlaith, Samuele, Jacob and Luke who led their teams admirably against strong opposition. Special mention to the P6\P7 team who beat their long time rivals ESMS and finished 3rd overall. won a bronze medal at the Scottish Schools Dryslope Minor GIRLS race at Hillend, great result for our young team especially given the 7 teams in their category included skiers up to high school s2. The girls put together some lovely runs on an extremely wild and windy Sunday afternoon! The City of Edinburgh Council have issued a consultation on school holiday dates. These some potentially quite significant changes to the usual holiday pattern, e.g. moving the summer holidays to later and fixed Easter Holidays. You can give you views at http://www.surveymonkey.co.uk/r/schhol before Friday 10th November. Max Mckay, with help from Aoileann MacGregor, from our Primary 7A class entered a national Road Safety Poster competition and their entry has been highly commended. The poster can be seen at the entrance to our school. Today Max was presented with his certificate. Judging is underway in our Round the World Garden party. Baking from all over the world is on display. Join us as we see the beautiful ‘pot plants’ made from recycled material on display in the playground and all our fabulous baking. Today Mrs Johnstone starts her retirement We said goodbye with a mass and she left with her spiritual bouquet made for her by pupils and staff. We wish her a long and happy retirement. During Financial Education fortnight we have been learning about finance in a variety of ways. Last week many classes were visited by memebers of the Royal Bank of Scotland who provided workshops which help us to underdstand budgeting and finance. Some of our parents with a financial background came in and talked to classes. P4B had an assembly on Friday which was all about ‘Needs and Wants’. 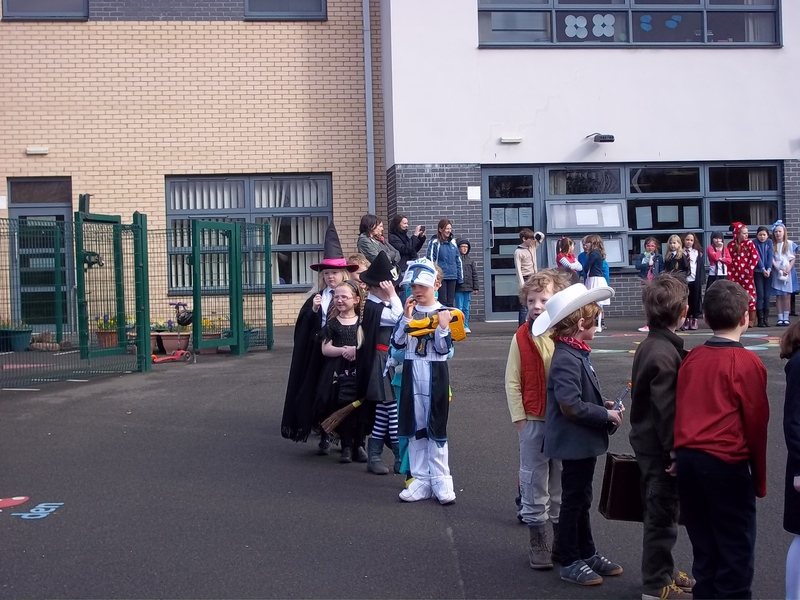 Today (Monday 6th February) P6 and P7 took part in learning carousels which involved them visiting different stations. We had parents who run their own business to talk about PR. Another parent talked about her involvement in Financial Management. Our own business manager was their to pass on her experience. We also had St columbas talking about fundraising, the police talked about money safety and security awareness. Social Bite talked about Social Enterprise business and Waitrose told us about product pricing and managing money in a large supermarket. Young Scot and Edinburgh leisure were also there to tell us about discounting, classes and membership. We were also able, using our ipads, to take part in My World of Work which gave us the chance to match their strengths to potential careers and also use the RBS website to play a game that helped us understand budgeting in a fun way. We have ended our term with an advent service that the whole school attended and we were joined by Father Scally. We sang carols and Christmas songs and were treated to a song by the Staff Ukelele Band. We also said goodbye to Mrs Blair who retires today after many years at St Peters. We wish here a long and happy retirement. At St Peter’s we had a Christmas Jumper Day on Friday 16th December. We were raising money for 2 charities, Save the Children and St Catherine’s Convent of Mercy and the amount of £384.40 will be split equally between the two. After 27 years of service to St Peter’s Miss Jamieson says farewell at a special mass today 28.10.16. After a week of celebration and fond memories Miss Jamieson was joined by family, friends and former colleagues to say goodbye and bring this chapter of her life to a close. She looks forward to new challenges and experiences and we all wish her a long and happy retirement. Our Events Managers and PTA once again held a coffee morning for the above and like last year was very well supported by all. There were plenty goodies on offer and a good chance for parents to catch up with friends. Its been a very busy start to our new school year and its good to see old friends and new. Most of our classes paid a visit to the Book Festival over the past two weeks. The scenery was fabulous and we liked the way they changed the scene by simply turning the boards round. Wednesday 30th September was a day to remember for the St Peter’s Family as we celebrated our 10th Anniversay. We went to Mass along with invited guests and members of staff from years gone by to celebrate our school. When we returned ice cream was waiting for us and the PTA were on hand to help with the scooping. It was much appreciated as the weather turned out to be exceptional for the time of year. After lunch we all gathered in the playground for a special open air concert. Each year group perfomed a song for us. 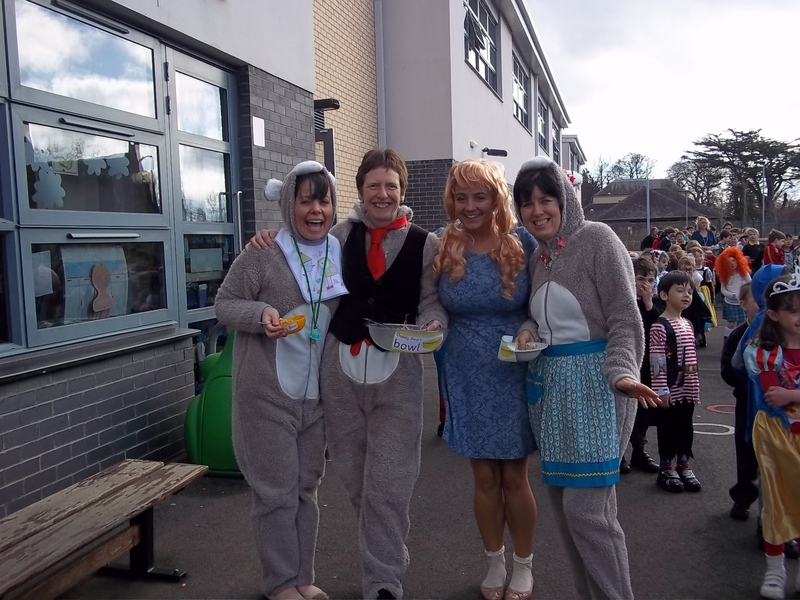 Even the teachers joined in with a rendition of ‘Is this the way to Morningside’, whilst they were singing we were all enjoying our cup cakes. An audience of Parents, Grandparents and friends joined us and enjoyed the the views from our ‘sun terrace’. Welcome back to school for what will be an exciting year for us. We will be celebrating our 10th Anniversary in our new school this month so watch out for events that will be happening soon. Over the last two weeks all the children in school have had the opportunity to take part in various activities for Food Technology and today there were many parents in to see what the children have been up to. We have all been cooking and school has been filled with wonderful aromas making us all feel hungry and also out of school we have visited local businesses to find out about the food we eat. Staff from Waitrose came in and visited various classes and talked to us about fair trade food and also brought in a lot of things for us to try. We visited Adante Bakery and we were shown how to make bread and the children that visited all came home with a cookie. At Fruitilicious we got to sample some delicious smoothies. Some of us visited Rocket cafe where we took orders and made sandwiches for each other. We also paid a visit to Mellis cheesemonger and got to sample lots of lovely cheese and also found out how some was made. Two year groups went to Pizza Express. A trip that everyone enjoys especially as you get to take home the pizza that you made yourself. P6 visited Whitemuir Farm. What a treat to be able to collect eggs in the morning and have them for lunch the same day. You can’t get fresher than that. Here are some pictures from our event this morning for those who were unable to come along. We would like to thank all those business mentions for their help as it could not have happened without them. We would also like to thank all our parent helpers who gave up their time to come into school to help with cooking or to accompany us on trips. Miss Grennan has recently returned from her visit to St. Ursula’s, our partner school in Tanzania. She shared with us during a special assembly her photos, videos and adventures. Her photos will soon be on display on the screen in the school reception area. She had a wonderful experience which she will be able to share with the school community over the next few weeks. Sister Conjesta and her staff and pupils send their warm wishes to everyone. Kuyhyn also won the Best Overall Instrumentalist and secured another Trophy. Congratulations also go to our ski team who took part in the Scottish Schools Ski Race at the Cairngorms Ski Centre of 4th march. The Novice team finished in bronze medal postion. Bethanly L won the gold medal in her category (female novice) and will go on to represent the school in the Alpine Series final at Nevis. We wish her well. Congratulations to all our pupils who took part in the Burns Competition today. The standard was very high. A special congratulation to our winners and runners up who now go on the represent St Peter’s in the Edinburgh and District competition which will take place at Tynecastle High School on Saturday 21st February 2015. We wish them all well. We would like to welcome to our school Sister Conjesta and Mrs Martina Meny, Headteacher and teacher, from St. Ursula’s in Tanzania. 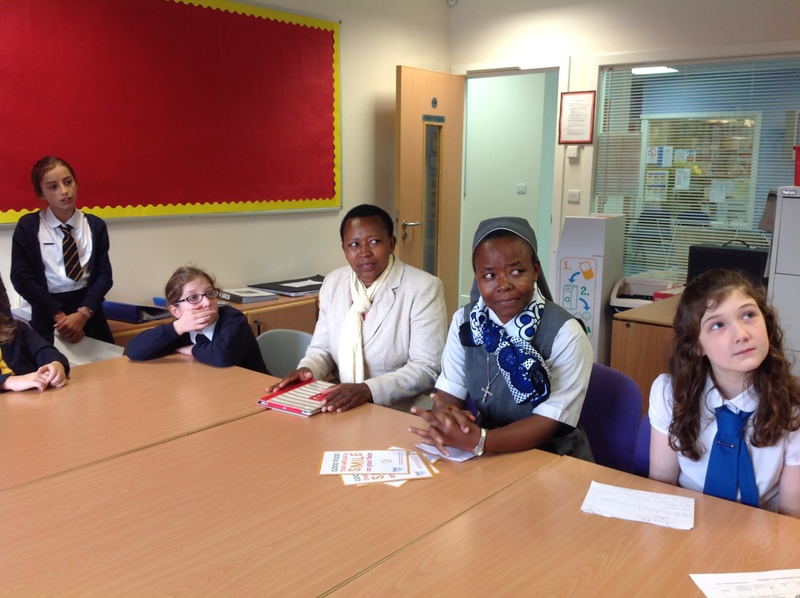 We are partnered with St Ursula’s and hope that their week long visit to our school in helpful and enjoyable. They will be visiting classrooms, taking part in working groups, going on a trip with the Nursery to St Joseph’s , Gilmore place, to take part in their Harvest Celebrations. They are pictured above with our Pupil Council this morning. On Friday 27th September our Events Managers put on a MacMillan Cancer Coffee Morning and once again this was very well attended and we are pleased to announce that we raised the fantastic sum of £601. Thank you very much to all who donated the delicious cakes and who came along to support us. 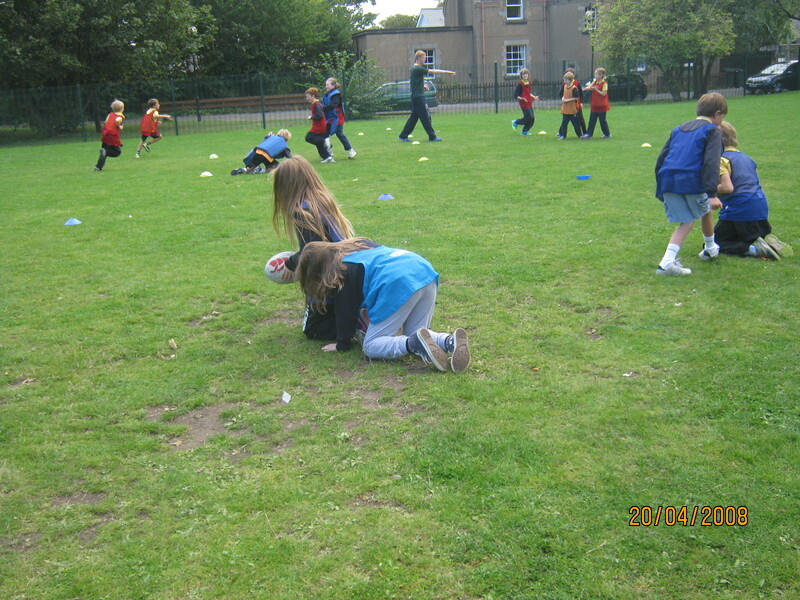 Its Health Week this week and we are all trying something new or improving on skills we already have. 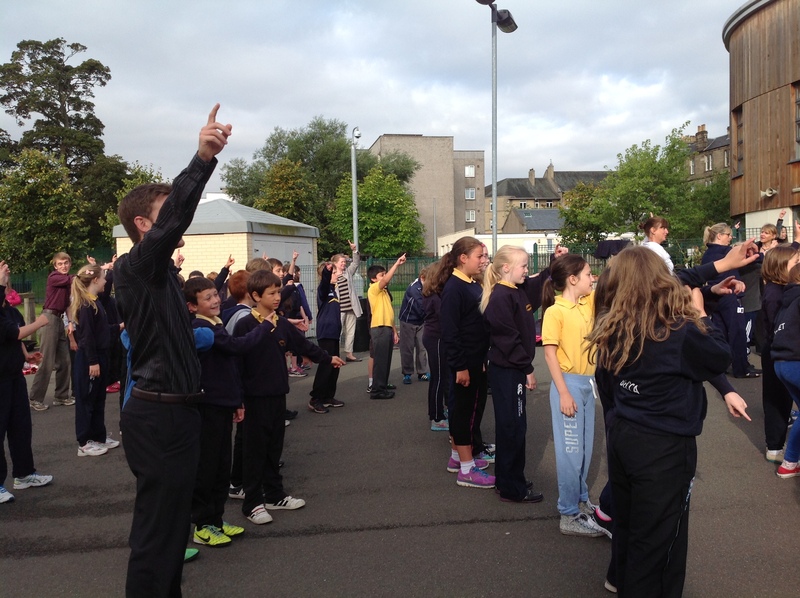 Every morning we are starting out the day with our ‘shake and wake’ and it’s nice to see so many parents joining in. We are all back at school after a long sunny summer holidays and excited about our new school year ahead. 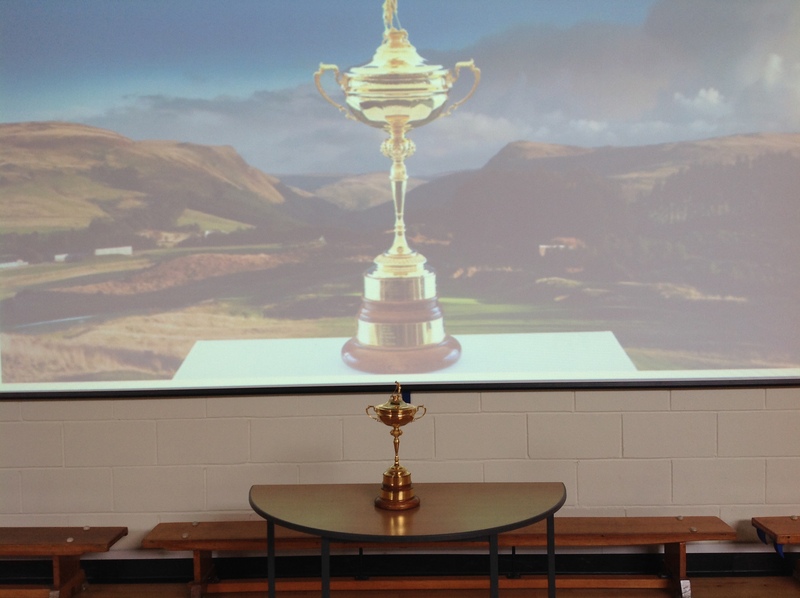 This week we had a very special visitor to the school. The Ryder Cup. Mr Clyde brought it along to assembly and told us all about the history of the competition and hopefully there will be a few more enthusiastic viewers this year. 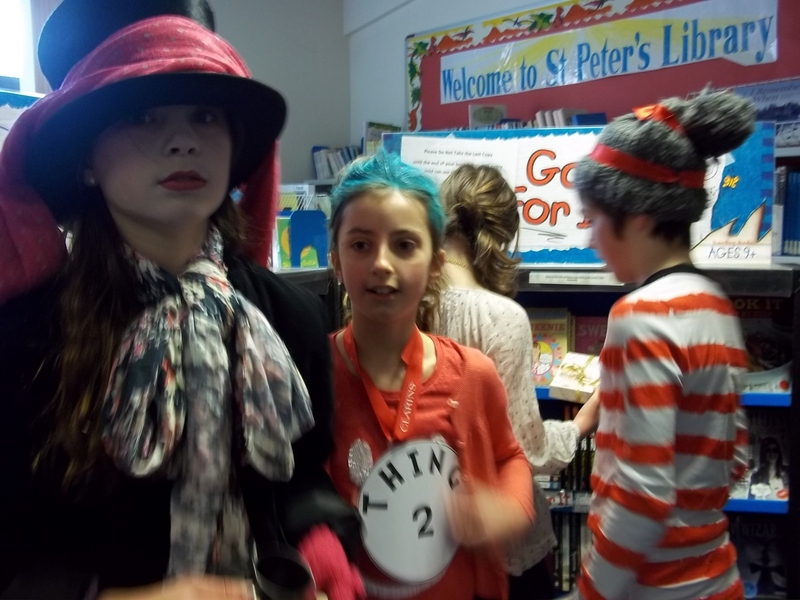 At the end of our session of Everyone’s an Author the school celebrated by coming dressed as a character from a book. This also coincided with our book fair. 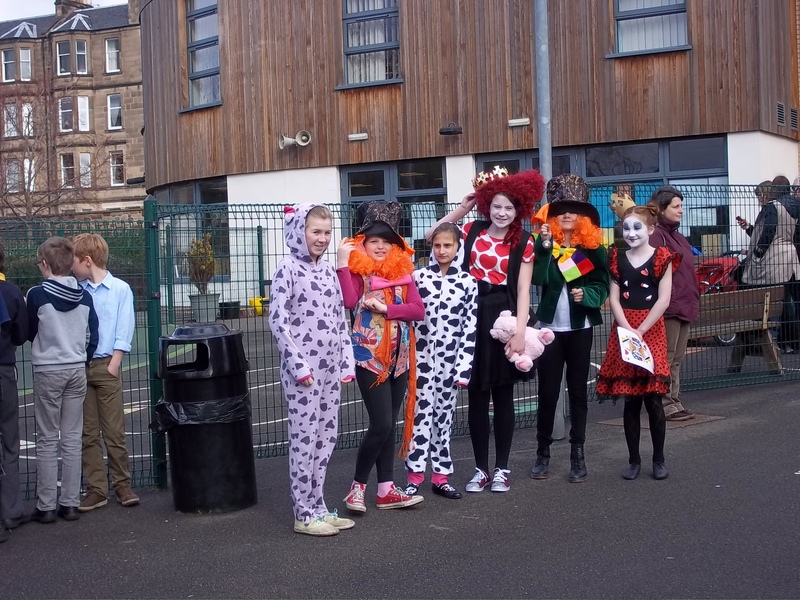 As you can see everyone made a great effort to get dressed and they all looked fantastic, pupils and staff alike. Can you see “where’s Wally”. 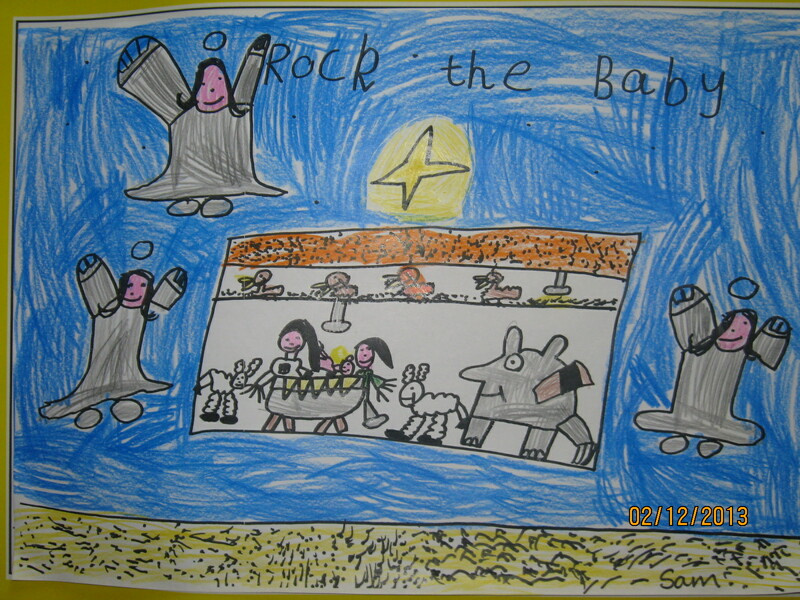 P 1 and P2 welcomed a full house on Tuesday when they performed their Nativity Rock the Baby. It was a great success and was enjoyed by everyone there. We look forward to Monday when the Nursery children perform their Nativity. We would all like to take this opportunity to wish you a Merry Christmas. 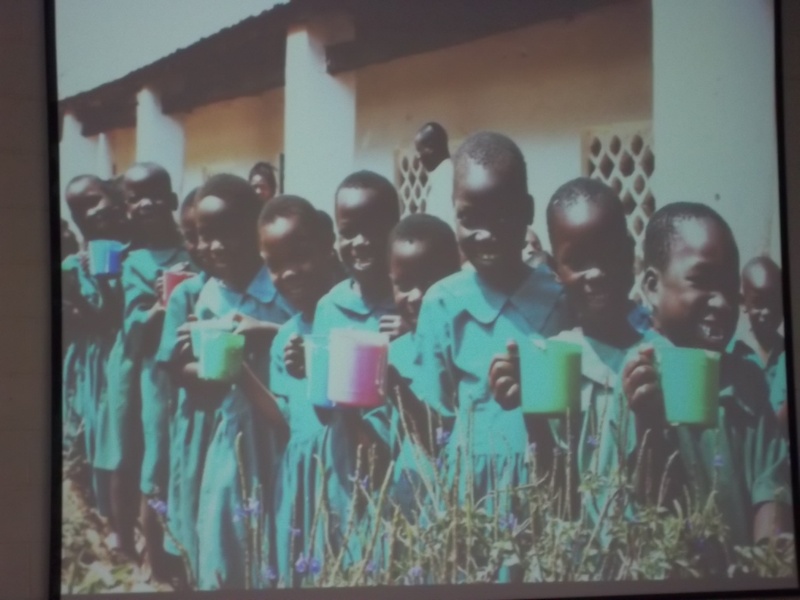 Today Angela Hughs from Mary’s Meals came in to tell us the difference that we can make when we donate a Backpack. 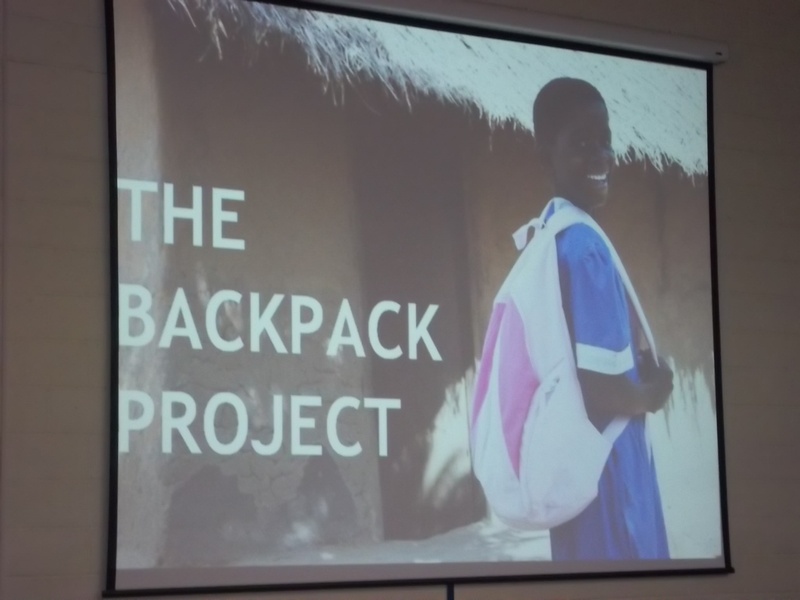 We watched a film showing the journey a Backpack makes from us to its final destination in Malawi. We could see the excitment and joy that this small gift can give. Our Backpacks are being collected from school on Wednesday so there is still time bring one in if you haven’t done so already. 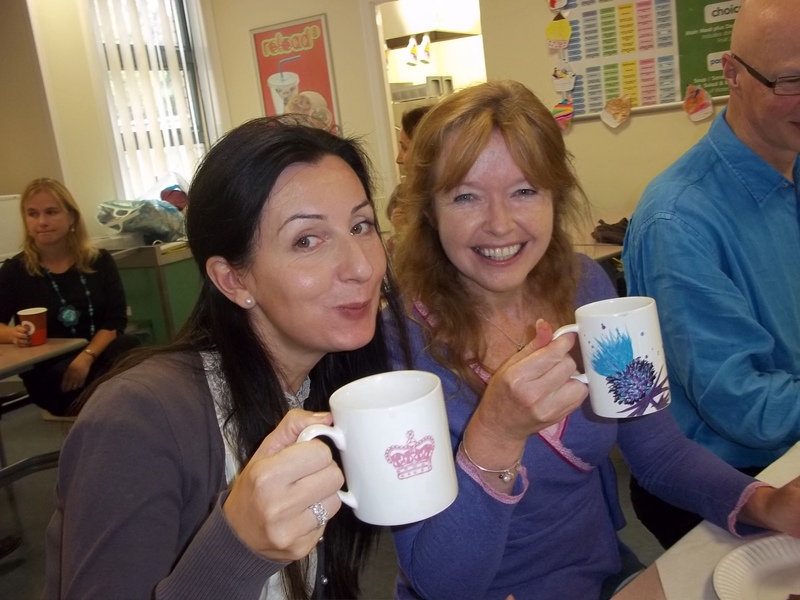 Our new Events Managers organised a MacMillan Coffee Morning for parents on Friday 27th September. 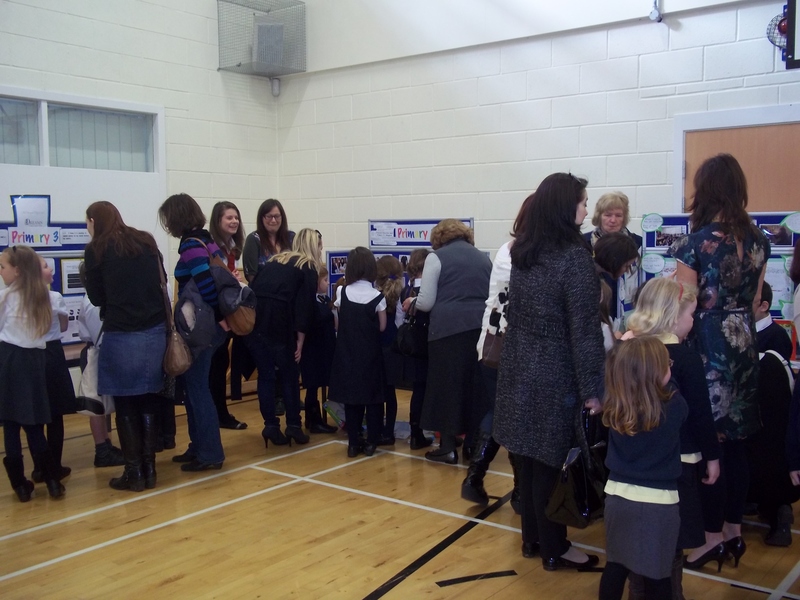 It was a great success with many parents and family coming along to support them. Altogether you have managed to raise the fantastic sum of £620.42 for the charity. Thank you to all who contributed. We have had a very busy start to the year. 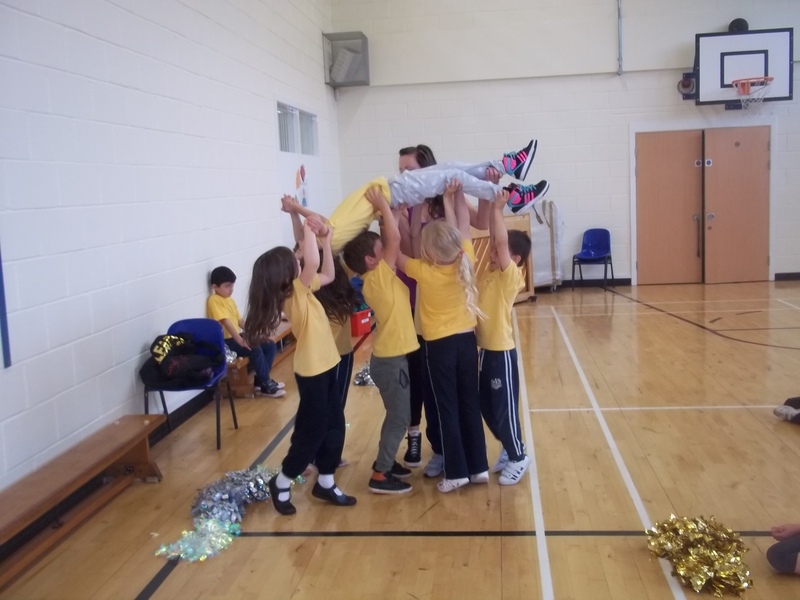 Our Health Week was highly successful with all classes from Nursery to P7 participating in nuermous activities. Our P7 pupils worked well with all classes encouraging healthy eating. 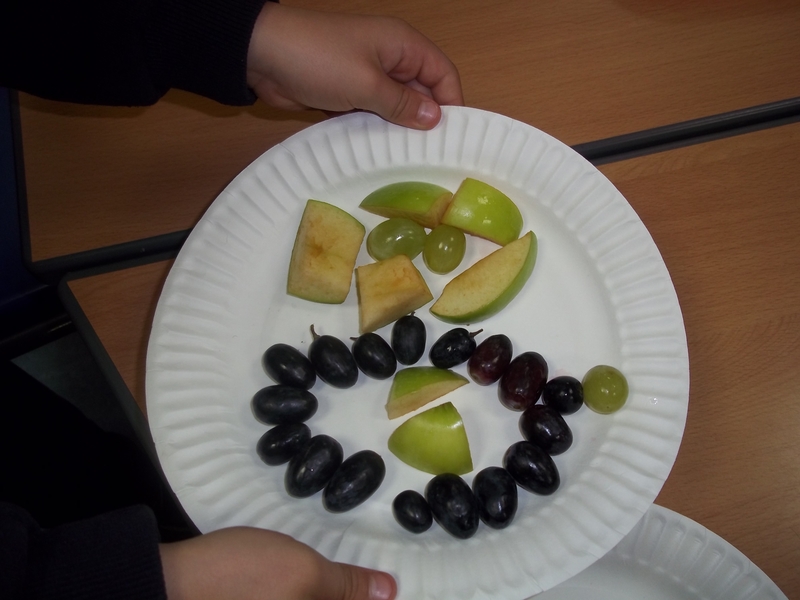 The made fruit smoothies, fruit kebabs and fruit faces with the younger children. Many thanks to all the parents who voluntered to help throughout the week. All classes have completed the study of an artist this term. Please look at our displays during Parent Evenings. Last week pupils participated in many Eco workshops. The will be reminding you at home to Reduce, Reuse and Recycle! We are looking forward to meeting you all before the October break to discuss your childs progress.